The lethality of a black widow spider bite is dependent on several factors. These factors include the health and age of the affected individual, the gender of the spider, and the possibility that an allergy to spider bites may exist. One must be very careful and should seek medical attention if they believe they have been bitten by a black widow. With that said, there has been very few deaths attributed to black widow bites, and most commonly the experience is simply unpleasant but not life-threatening. However, improper care of a bite can certainly lead to complications, so don’t forego a trip to the hospital if you’re unsure. Bitten by a Male or Female? The first step in assessing the danger of a black widow bite is determining the gender of the spider. Females are much more dangerous than males because they can inject greater amounts of venom per bite. Additionally, females are triple the size of males and have a body that is fuller and rounder in shape. Male spiders have a small hourglass marking and a lengthier, tube-like body. To practice spotting the difference, try looking up images of male and female black widow spiders on the internet to see the telltale signs of each gender. If an individual has been bitten by a male, it may not cause much if any symptoms compared to the female, but if symptoms begin to arise then go to a hospital. Depending on the individual, a black widow spite can be quite dangerous. Elderly and young children as well as any individual who has a compromised immune system may react more severely to a bite. Furthermore, those with high blood pressure are at greater risk as well. Due to the chance of getting bitten, one should be wary of spiders if they live in areas where the black widow also resides. Those who are most at risk of a bite should have their homes set up so that help can be called quickly and efficiently in case of a bite. In the worst scenario, a person can die from a black widow bite. Certain individuals react strongly to the chemicals in venom, regardless if it was a lethal amount or not, and can suffer from anaphylactic shock. Symptoms of this include swelling of the mouth, tongue, and lips, hives, trouble breathing, asthma, and unconsciousness. Without proper medical attention this response can be fatal. Individuals who have known allergies to bugs should carry an EpiPen (a portable injection of epinephrine) with them at all times to deliver a shot when necessary. Even after a shot is administered, the individual should still seek medical care because the venom may still be in their body. 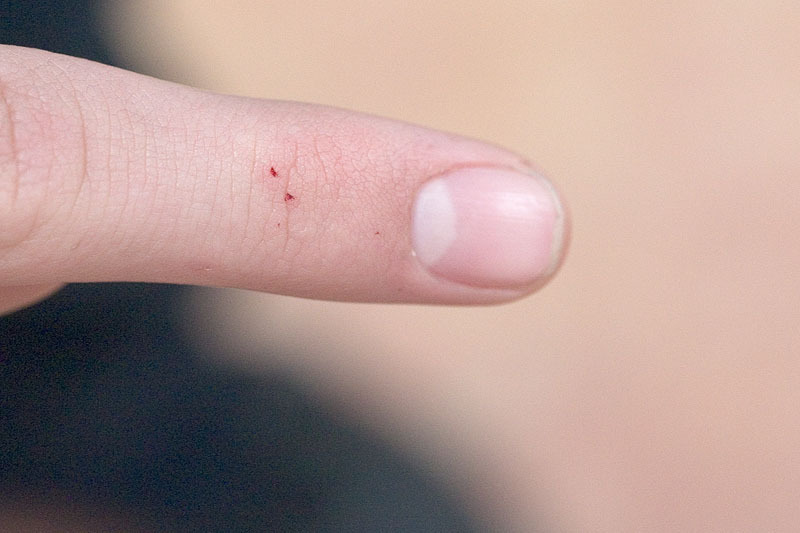 To lower the chances of a fatal outcome from a spider bite, it would be wise to err on the side of caution and contact emergency services if bitten, even if no symptoms are present. The bite of a black widow has been reported to feel like anything from a pinprick to a sharp, stinging feeling. A bite wound with two small fang imprints are another indicator, especially if it is accompanied with redness, swelling, and pain around the wound. Additional symptoms include difficulty breathing, dizziness, perspiration, headache, muscle weakness, vomiting, and rash or itchy sensations. Immediate medical care has the benefit of reducing or curing most of these symptoms and would significantly lower mortality rates.